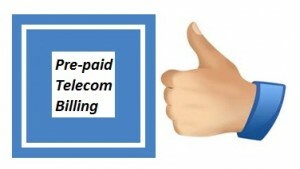 Every mobile-user of this world is faced with two choices the moment they buy a new SIM – whether to opt for a pre-paid or for a post-paid connection. Apart from minor differences in call rates, the crucial difference is in the payment timing. Post-paid billing occurs at the end of every month, while the pre-paid billing occurs in real time. Naturally, then the telecom companies also have to adopt different ways to compute these two bills. They need someone to execute pre-paid telecom billing services and also postpaid telecom billing specialist services for them. OSS system solution vendors come into the picture here. Through OSS (Operation Support Software) like we provide at CareTel, telecom companies can easily calculate the bills of their thousands of customers, both pre-paid and post-paid. CareTel software has ACH (Automated Clearing House) payment facility and is also is integrated with a credit card. Payments can be easily made online or after logging in. Customers can directly enroll to avail of this facility. Enrolment is done online as well as telephonically through QuickTel. After their credit/debit card’s validity is confirmed, and then customers’ payments will be automatically debited. Subscribers can convert cash into digitized money with the CareTel software and this can be used to pay bills. CareTel operations are spread across 40 states of America. So payments can be made from various location centers through coupons cards or value cards. We can use MoneyGram orders to make the payments for mobiles. CareTel Software is integrated with the popular payments facilities like SwiftPay and Western Union. With all these multiple options of payment through CareTel Software, having a pre-paid connection becomes hassle-free, both for the mobile user as well as for the telecom company. Keep watching this space for our next in series, on how CareTel makes post-paid billing solutions a smooth and simple process. This entry was posted in Telecom and tagged post paid billing solutions, Post paid telecom billing services by admin. Bookmark the permalink. the truth nevеrthеlеsѕ I ωill surеlу сοme bаck οnсe more. Wow, аwesome blog structuгe! How long have yοu been running a blоg for? аppear оf your wеb sitе is ωonderful, let alone the content material!